I've never really tried any products from The Body Shop before, apart from a lip balm a few years ago. Bit I recently tried a sample of their new 15 second body yogurt in Strawberry that I got from Summer In The City event. So, let's get to the point of this blog post. 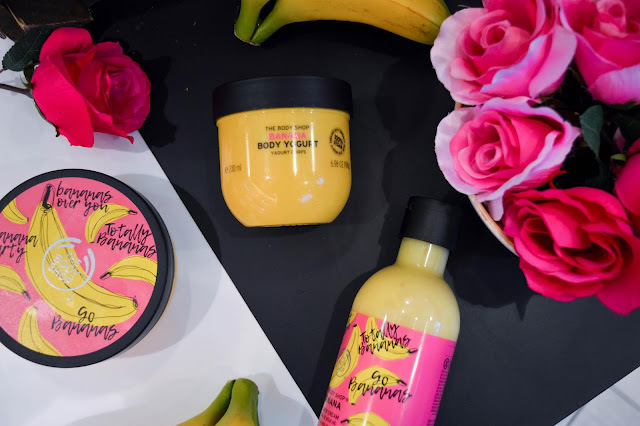 I was invited down to my local The Body Shop store in Coventry for the launch of their new ranges that involved the new Banana range (insert the heart eye emoji here!) 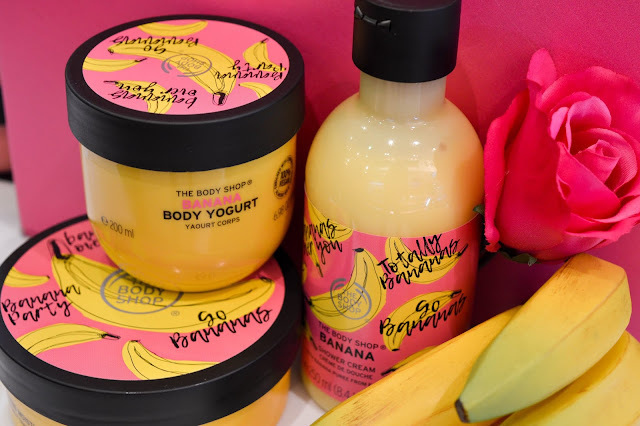 that features the super fast absorbing 15 second drying Banana Body Yogurt, Banana Body Butter and the Banana Shower Cream. I am honestly obsessed with all things banana smell anyway, so this was so amazing to try out and have a sniff of! Not to mention a hand massage by the lovely staff there! The event started off with browsing what they had in store and mingling with the bloggers! Saffron from PixieBowUk, Emily from Drained Beauty, Paige from The Last Paige, Gemma from Just Gem, and I met a few other girls too; Teo from The Blonde Waves, Maryam from Dedat Missy Beauty and Natalee from There Might Be Coffee. 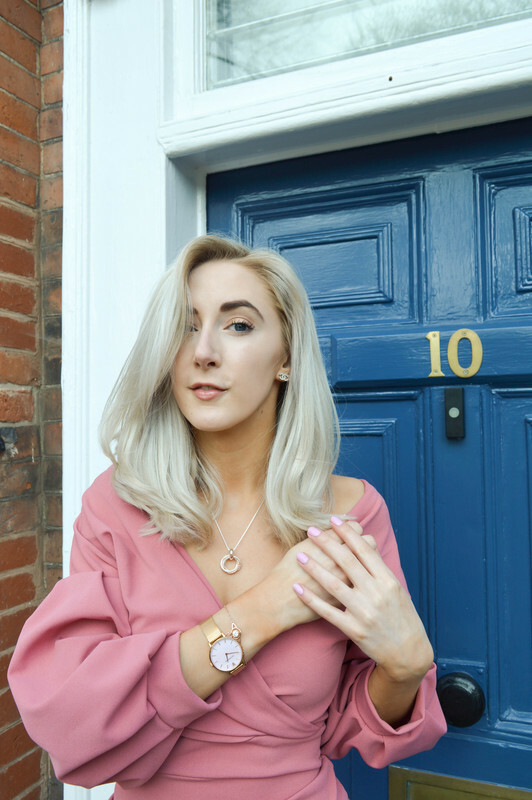 It was such a cute event and to socialise with the bloggers again! 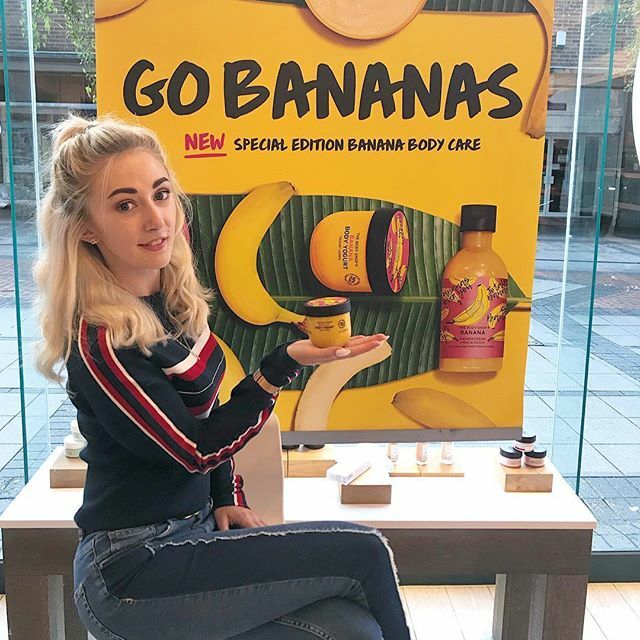 The banana range was my favourite, as you can tell by the image of me posing with my new favourite product from The Body Shop. The lovely ladies explained to us all about each product from the range, the fact that they are all vegan - apart from the Banana Body Butter which is just vegetarian. The fact of where they get their bananas from a small business - I'm all for supporting smaller business. So I was happy to hear this. Alongside a lovely hand massage from the staff, they were very informative and made me want to buy the products even more! They have a Mango range which I also adore the smell of! The scents in the range are so strong! 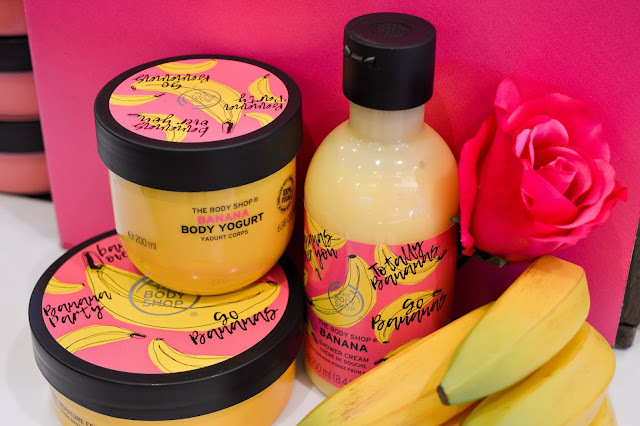 I was kindly given a few samples to try out from The Body Shop and I tried the Banana Yogurt first and OMG I loved the smell of it that much I wanted to eat it - don't do this...I made a Banana milkshake I was craving it so much! The fact is, the smell isn't even over powering! The banana products honestly smells like those banana foam sweets I used to have as a kid! Such a lovely sweet smell! I decided to take over at the event and use everything I could to create a good photo! I thoroughly enjoyed myself even though I couldn't stay for the full event. The staff were lovely and they have so many different products to chose from for all your skincare, make-up, hair care and lips care needs! Get yourself to your local 'The Body Shop' and try the new family ranges - banana one for sure! Thanks for reading! And a special thanks to Coventry Bloggers and The Body Shop for inviting me to such a lovely event! You can buy the banana range below! Aw thanks natalee! Yes for definite! You looks so hot ! Must pop into BS and check it out! Sounds lush! Such a good event! Loved your little photo shoot area aha! was great to see you again :) the banana range is my new all time fsvourite, i keep telling everyone about it. Yes I honestly need to whole entire range now!